Recapping a marathon is a tough thing to do. Which is why i needed the week to digest and reflect on everything. Now being a week removed, I think it’s safe to say i had a pretty awesome race :). I didn’t hit my A goal–to qualify for Boston 3:35. 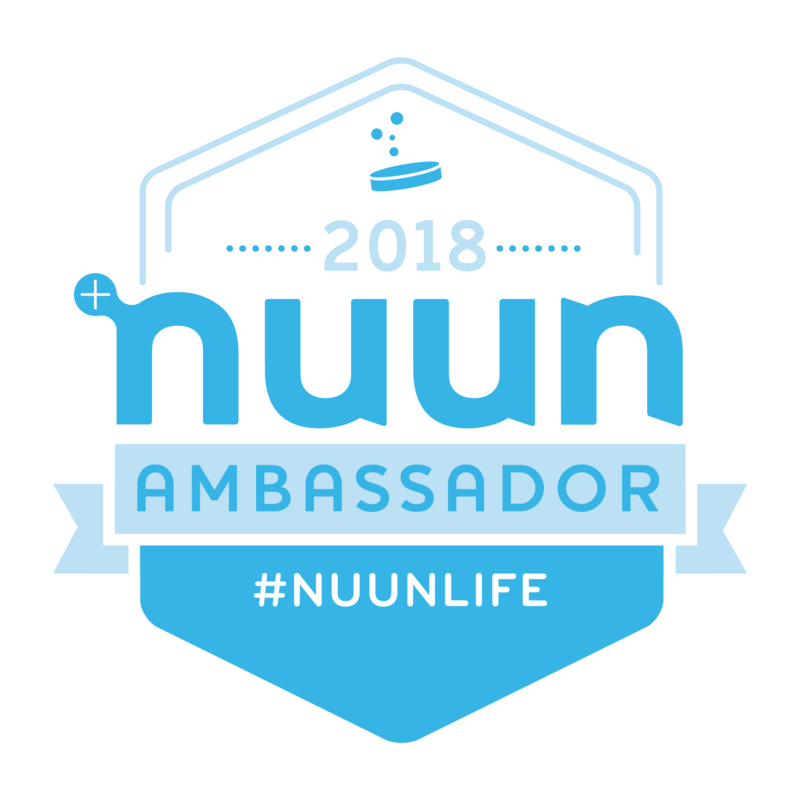 I didn’t even hit my B goal–under 3:45, I did however reach my C goal–under 4:00. With a new PR 3:50:10, it was the best I could give last Sunday and I couldn’t be happier! When I was deciding on a race plan the week of the marathon I still wanted to shoot for the BQ qualifying time, but I was trying to be honest with myself and 3:40-3:45 seemed more realistic based on the training I had. The plan was to head into the race nice and slow (just as i’d done in training) and pick up the pace about halfway through and try to makeup time in the second half. I basically wanted my first half to be as comfortable as possible. The start line was electric! The weather was beautiful, 55 and sunny, and I had some really great tunes loaded into the ipod. For the first 30 minutes of the race I chatted with a really nice lady who was running her very 1st marathon. Then I said goodbye and good luck to her, put in the headphones and took the first half of the race pretty easy, just as planned. Chicago was so energetic and loud the entire race! There were very few spots of quiet running and I actually embraced them and enjoyed the few minutes of silence when they came around. Especially when I hit the halfway mark and decided it was time to work. Unfortunately my legs only wanted to go faster for a few miles. Around 19-20 I slowed down consistently from 8:20s-8:30s to 8:45s. I don’t feel like I hit a wall. I felt well fueled.There was a point that I honestly couldn’t make my legs move any faster. I was just cruising where I felt slightly uncomfortable. 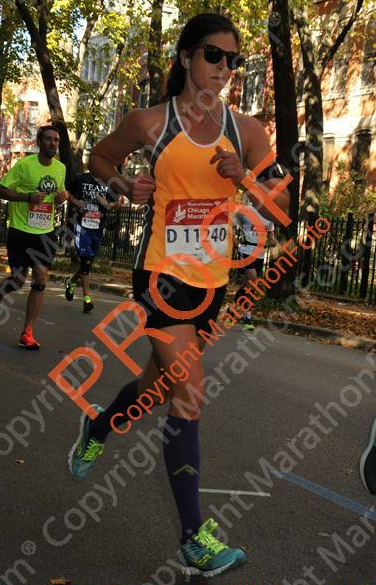 Once I passed the 20 mile mark I realized the Boston Qualifying time was near impossible since I had no giddy-up left. After I took the salt and water he handed me, thanked him about a million times, I started running again. The cramps subsided quickly but I had definitely lost time. Staring at the Garmin I decided it was time to focus on Goal #3–Sub 4 hours. 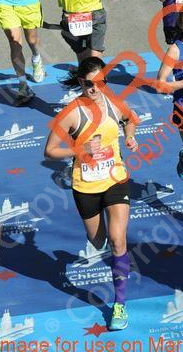 Again, I didn’t let this deflate me, I kept telling myself I was going to finish a marathon. And that in itself is freaking awesome. The last few miles I had to play a game that humbled me to the core. Run a few minutes, walk for 45 seconds. Run a few minutes, walk 45 seconds. I didn’t get upset at this beginner style running technique, instead it made me smile..that damn marathon is always harder and tougher than you can imagine. There are no 20 mile runs that can ever prepare you for a marathon. Those last few miles are ran with heart, not your legs. At least, that’s what the posters near the end told me. The last half mile was my favorite. The cheering and crowds were awesome, the hill at the last turn was horrible, but forced a strong finish. I finally pulled out my headphones to cross the line. No distractions, just the sounds of hundreds of feet finishing their 26.2.mile trek. Here are the things that went right from this marathon: I made it through the training and the marathon uninjured! I had a 38 minute PR! I stayed positive and happy the entire race. I didn’t give up when my pace wasn’t where I wanted it. I high-fived my best friend at mile 5! Here are the things that didn’t go well: Pro Compression socks make my feet sweat–I had MONSTER blisters that I started to feel at mile 11 (next time I’ll run in calf sleeves). I think I started too slow. I almost had the nutrition down, but kinda forgot once mile 20 came around (should have grabbed the bananas that were offered!) Stress from work had definitely taken it’s toll during training. 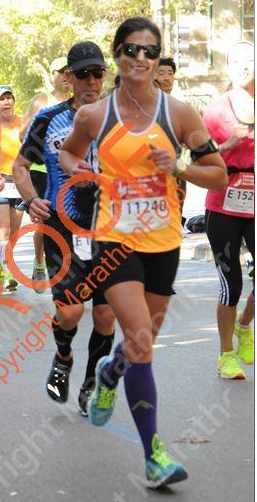 Cramps happened in my left foot at mile 16 and kept happening off and on until I crossed the finish. Cramps in my quads stole a lot of time. I already feel a lot more prepared with marathon knowledge! It takes a lot of practice to hit major goals. I still have an urge to qualify for Boston, but I’m ready to hit shorter race goals and run a fast half marathon next spring. Stay tuned and thank you always for your love and support here and on instagram! How long do you take off after a marathon? How long do you wait to start planning your next race 😉 ? 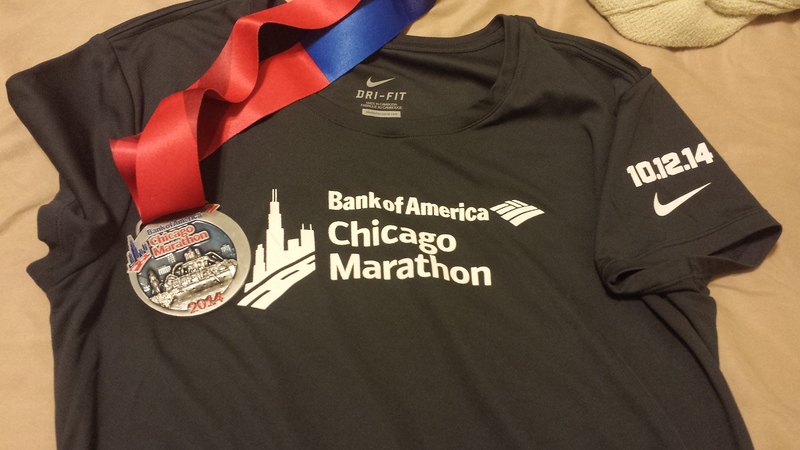 Categories: Uncategorized | Tags: chicago marathon, marathon training, PR, Pro Compression, Race recap | Permalink. Yay! I was thrilled to stalk … um, see your results come up on the Chi-Marathon site (I had a bunch of people running including a guy I work with and his wife). Great job! I don’t take much time off – generally a day fully off and then ramp back up … though last fall I also ran the next day full-on after a marathon. It is whatever makes sense for your body! Congrats – I love your attitude! As someone, who has yet to do a marathon, I admire anyone who does it! Keep that smile on your face and the BQ will come soon, if you still intend to chase after it! Congrats on a great race! It was do much fun to relive the marathon through your eyes. I got back to running a little too quickly and I’m paying the price now. I took today off to let my body rest. I have another marathon in three weeks…eek!!! Thanks!! I’m so injury prone i HAVE to take off a week or two after a major race. Good luck at your next one! Hope everything feels better soon! Congrats! I am so glad you are able to see all the positives about your race even though you didn’t hit you A or B goals! A 38 minute PR is HUGE! And the marathon is such a beast and such a tough distance to conquer. I usually wait close to a week before running again, but I usually start planning my next race immediately! Ahh I can’t believe I’m just now commenting on this. 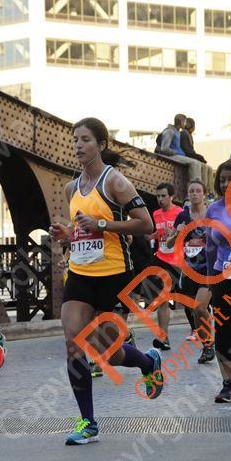 You look so strong and amazing in your race pics! And 38 minute PR…. DAMN! So awesome!!!!! Congrats on the marathon – and the new PR! So awesome! I love how you kept a positive attitude right until the end – that is how to run a marathon. And maybe get yourself some calf sleeves as a treat! oooh i like that. 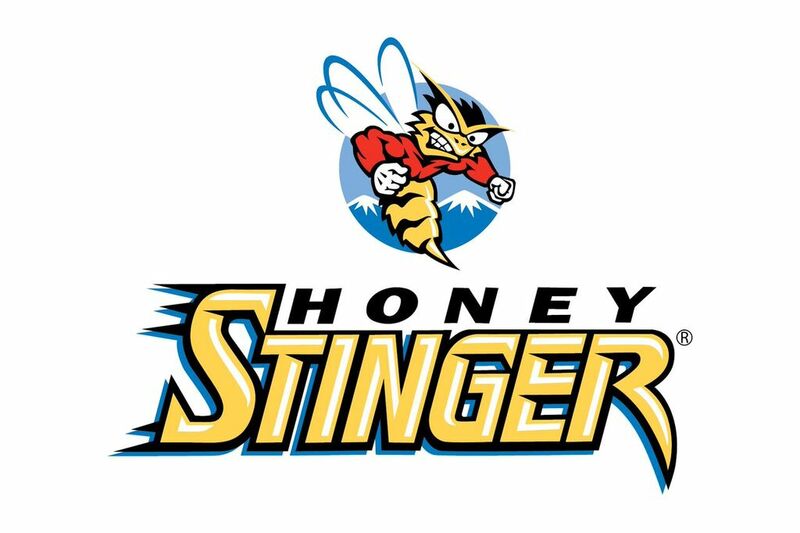 calf sleeves will be ordered soon!